Paramount Business Jets is a leading air charter brokerage company dedicated to offering both domestic and international air charter flight services to and from Quebec City, Quebec, Canada. Our private jet clients flying in and out of the Quebec City area have over 7 airport choices, all of which are within a 50 mile radius of the city itself. The closest airports to Quebec City are the Quebec Jean Lesage International Airport(YQB), Trois Rivieres Airport (YRQ), and La Tuque Airport (YLQ). There are a few aircraft available in the vicinity of Quebec City, including the Jetstream 31 (turboprops), the Phenom 100 (very light jets), the Citation V Ultra (light jets), the Hawker 700 and Hawker 800XP (midsize jets), and the Hawker 1000 (super midsize jets). At Paramount Business Jets, we offer you every level of air charter travel experience imaginable - from cost-effective helicopter and turboprop charter flights to spacious midsize and large aircraft charters, to luxury VIP airliner and long-range business jet flights. 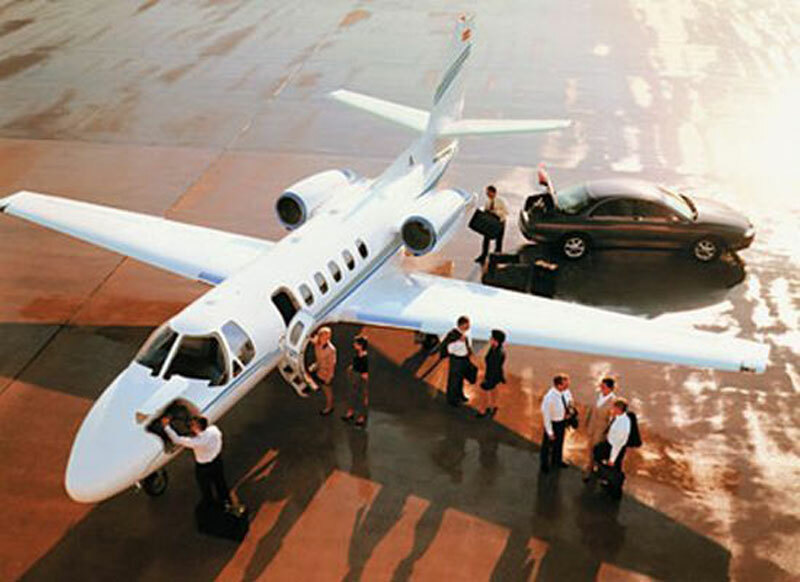 Our range of services provides our jet charter clients with the convenience and flexibility to fly when they want, where they want and at their own comfort level. To learn more about our air charter services or to request a jet charter quote, please call us at 1-877-727-2538 or email us at charter@paramountbusinessjets.com. Quebec City is the capital of the province of Quebec and the province's second-largest city (after Montreal), in eastern Canada. Founded in 1608 by French explorer Samuel de Champlain as a colony in what's now the Lower Town, Quebec City is one of the oldest cities in North America. Quebec City is situated alongside the St. Lawrence River, and is home to the Port of Quebec, one of the biggest ports for the nation of Canada and a major contributor to the economic development of the Quebec City region. This dynamic city combines rich history, natural beauty, and unique charm, with cosmopolitan atmosphere and vibrant lifestyle. Quebec City tourist attractions and historic landmarks reflect the rich past that makes the city the charming and significant it is today. Sightseeing opportunities in Quebec City include the Parliament Building, Artillery Park National Historic Site, Battlefields National Park, Dufferin Terrace, Grand Theatre of Quebec, Basilica-Cathedral of Notre-Dame, Quebec National Museum, and Quebec Funicular Railway. Quebec City's four-season climate, gorgeous landscapes, important military and religious heritage, cultural and historical attractions, traditional and contemporary museums and art galleries, fine dining, internationally renowned festivals and events, and year-round recreational activities, make Quebec City one of Canada's attractive travel destinations.